When it comes to funding projects to fight invasive noxious weeds in Oregon, two pots of money are better than one. The State Weed Board this month awarded $1.84 million to fund 63 projects that will assist programs and organizations around the state in the constant battle against some of the nastiest noxious weeds to invade Oregon. In addition to the usual annual funding source available to the board, a new, targeted grant program aimed at counties restores some capability for weed control that may have been lost in recent years. These new dollars also augment the efforts of the Oregon Department of Agriculture’s Noxious Weed Control Program. The Oregon Watershed Enhancement Board (OWEB) provides all funding, through lottery dollars, for noxious weed control grants. ODA and OWEB work together to administer those funds. Breaking down all funding awarded by the State Weed Board, 49 projects were funded at a total of more than $1.4 million as part of the regular grant program. In addition, the board funded 14 separate projects at $401,000 from the newly available county weed grant program. The grants generally represent all areas of the state, although some locations have more projects than others. The grants also boost existing weed control efforts and even start new ones. ODA and the State Weed Board strongly felt there was no reason to wait on getting good projects up and running. Projects are restricted to those that restore, enhance, or protect fish and wildlife habitat, watershed functions, native salmonid populations, or water quality. 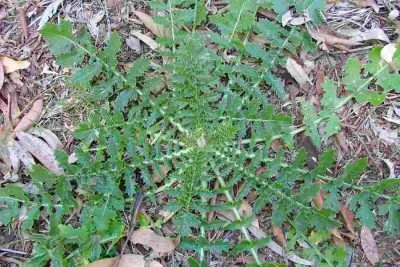 They must also target state listed noxious weeds. ODA and the State Weed Board looked for grant applications that involve on-the ground weed control projects, but those that funded research, survey work, outreach, or project design were accepted if those components are necessary to complete the control portion of the project. The new county weed control grants, to go along with the funds the State Weed Board awards each year, are a recognition by OWEB and others that invasive weeds pose a serious threat to Oregon. The negative economic and environmental impacts posed by the presence and spread of invasive weeds is clearly documented. Studies indicate that the economic impact of just 25 of Oregon’s worst noxious weeds has been estimated to reduce Oregonians’ personal income by $83.5 million per year, which is equivalent to 1,900 jobs lost to Oregon’s economy. As grant dollars have increased over the years, so has the quality of applications. Projects funded in this cycle, from both grant programs, run the gamut. Some focus on early detection and rapid response to noxious weeds new to Oregon or in limited distribution. Others may be cost share projects that provide funding to land managers, farmers, and ranchers to work on weeds that are more abundant but in need of control. In some cases, funding allows for biological control of noxious weeds as part of integrated weed management. Many of them are aimed at restoring watershed health. All of them rely on partnerships. Grants are often used to leverage other funds to boost the effectiveness of weed control efforts. In 2015, grantees provided a 52 percent match on State Weed Board grants which led to the treatment of more than 7,500 acres of weed-infested lands. The new round of funding will also have a large cost-share component. A number of previously funded projects that are making progress will continue to receive grant dollars in this latest round. Examples include the Upper Burnt River Weed Control District in Baker County, where money is helping landowners fight the spread of whitetop in very remote areas. In Wallowa County, funds focused on early detection allowed for the discovery of a new thistle never before found in Oregon and are now going after other thistle species in targeted areas. Portland State University’s aquatic weed survey work, funded by grants, has uncovered flowering rush. A new PSU grant will allow for more aquatic survey work and early detection. Butler says the grant programs, including the new one specific to counties, provide a lifeline to those fighting the battle against invasive noxious weeds.